Microsoft has finally unveiled the Windows 8 OS. While its last outing, the Windows 7.5 established The Windows Phone OS as one of the top 3 mobile operating systems, it failed to give iOS or Android a run for their money. The only question lurking in everybody’s mind is that has Microsoft stepped up to the plate this time, has it brought its A-game? Well, the answer is yes. 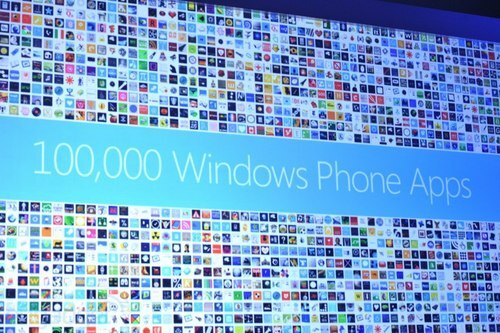 Windows Phone 8 has so much we want to talk about. 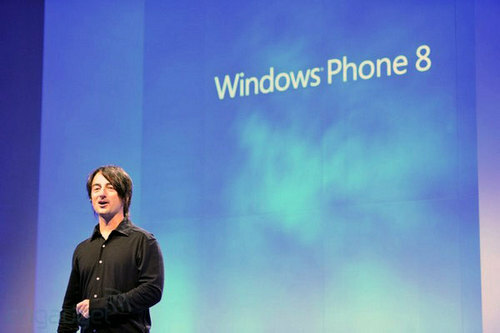 When Microsoft unveiled Windows Phone 7.5, it made sure that people won’t think of it as just another OS aping Android or iOS. Windows 8 takes it a step further. Here’s how. New Start screen – One of the best features of Windows is the presentation. Live Tiles make Windows look suave. With Windows 8, you can scale Live Tiles according to your preference whether it be large medium or small. When you scale down the tile to a size, you are also determining how much information it would display. For e.g. if you are sizing up the game hub tile, the size will determine how many games will be displayed in that tile. This feature will work best for your social networks, emails and contacts. Better Multitasking – If there was one feature that Windows Phone users always felt lack of, it was definitely multitasking. While multitasking is pretty obvious to iOS and Android, it has just made an appearance on WP8. You can listen to music, play games or hear audio books and still attend to your notifications and switch between apps razor fast. 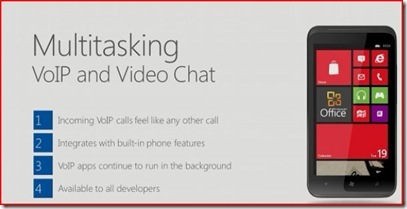 The incoming VOIP calls will feel like any other call and will be better integrated. It can even run in the background like normal calls. 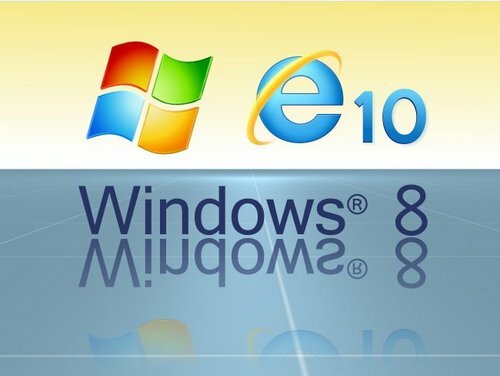 Internet Explorer 10 – Yes, we know what you might be wondering. Internet Explorer being a pro rather than a con? Well, get ready to be dazzled because Microsoft hasn’t lost faith in Internet Explorer and going by the features, neither should you. Internet explorer 10 comes with a slew of features. It has razor fast speed and is the fastest mobile browser till date. It also has a great anti-phishing filter and relies on the PC experience to block malware. Better hardware functionality – One other thing that prevented us from taking the Windows Phone OS seriously in the past was that unlike Android, Windows Phones could not boast of great processor, multi-core or even dual-core functionality. But with the coming of Windows 8, this has become a thing of the past. The upcoming Windows phones will boast not only of Multi-core chipset support, they will support 3 screen resolutions – 800 x 480, 1280 x 768 and 1280 x 720. But the best part is that now they will boast MicroSD support! 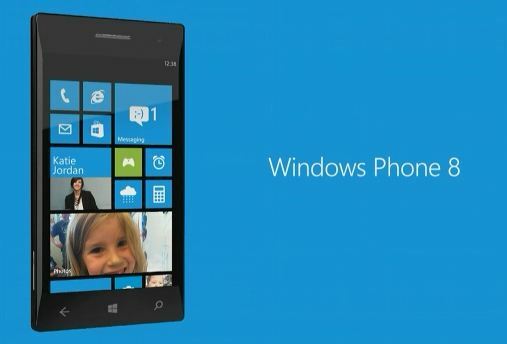 The new Windows phones will support better GPUs and softwares like Directx and Direct3D. Better NFC support will ensure you can use apps like the integrated wallet system to their potential. What’s more is that now transactions can be made via your SIM card, which is much more secure than using just your phone. Better app support – It was a well recognized fact upon the unveiling of phones such as the Nokia Lumia 800 that Microsoft’s partner Nokia could make better apps than it ever did. 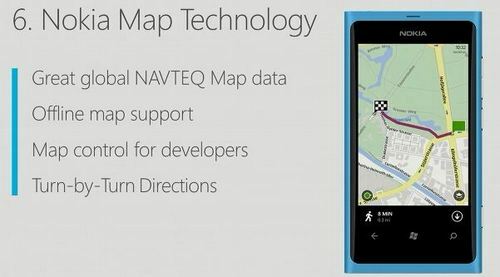 Well, Microsoft has learnt its lesson and handed over apps like Maps completely to Nokia. Not only that, a common developer code for Windows and Windows Phone OS will ensure that you can play any game across both platforms, something we had aspired to for a long time. Also, Windows 8 will boast of many business features like a shared Windows Core, encryption and secure boot and familiar Office apps. While we have no doubt that Windows 8 packs in a punch but, we would still say it has a long way to go if it wants to compete with iOS 6 or Android Ice Cream Sandwich.